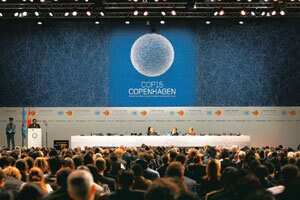 New Delhi: The first week of climate change talks at Copenhagen proved to be as contentious as expected, given the sharply conflicting views expressed by the various groupings in the months leading up to the event. In the opening half of the conference that began on 7 December, the representatives of the 192 countries attending split into groups and sub-groups and floated proposals and draft texts at cross purposes with one another. Negotiators defended decades-old positions and pressed their suits as driving up the pitch of the rhetoric. “It’s not at all easy and they are going round and round the core issues," said Elliot Diringer, vice-president for international strategies at the Pew Center on Global Climate Change, a US green group. “We’re not looking at a fiasco," Diringer said. “At the moment, it looks like we will get more and not less than we expected" compared with a couple of months ago. The second week of the climate talks, which conclude on 18 December, will see heads of state and government, environment ministers and senior officials deliberate over every nuance contained in a possible draft deal. All the proposals put forward by island nations and least developed nations to developed and emerging economies have been summarized in the draft text by the United Nations Framework Convention on Climate Change, or UNFCCC. The text proposes that the world needs to limit the increase in the average global temperature by 1.5-2 degrees Celsius. To achieve this target, the world will need to limit emissions by 50-90% below 1990 levels by 2050. And the burden of this restriction will be borne by developed countries to the tune of 75-95% below 1990 levels and 20-45% by 2020. Developing countries will need to cut between 15-30% below 1990 levels by 2020. This is where the disagreement begins. Developed countries haven’t yet put any number to reduction targets for themselves on the table. Developing countries, including the advanced ones among them such as China and India, have stuck to the argument that without ambitious targets from the rich countries and the transfer of finances and technology to poor countries, a deal would not work. The European Union has stuck to its line that advanced developing nations will need to take on some targets to restrict emissions below business-as-usual levels. The US insists that any domestic action pledged by such nations such as India and China will have to be committed to an international registry to be open for scrutiny and verification. The small island states, meanwhile, whose existence is at stake with rising sea levels, threw a spanner in the works by demanding that emerging economies be treated no differently than developed economies and that the previously agreed to limit of 2 degrees Celsius rise in temperature was too high. The list of programmes and activities and kinds of technologies, which would be included for cooperation through these centres, has not been resolved yet. Nor has there been any resolution on the prickly subject of intellectual property rights, or IPR. The developed world is keen to protect IPR, whereas the developing world wants to see some relaxation which would ease deployment of existing clean technology in poor nations. The issue of finance remains, without any commitment or even a mechanism being planned. As with emission reduction commitments, differences still haven’t been bridged and may have actually widened. While the core discussions have started, getting everyone to agree on a draft will mean covering a great deal of ground in the remaining week. “We still have a daunting task in front of us over the next few days," said Connie Hedegaard, Denmark’s minister of climate and energy.